I’ve never been fully confident with my figure, but Dr. Allen made me feel special. She really took the time to get to know me first before suggesting options. I can definitely say I owe my new confidence to her and her staff! MANY thanks, Dr. Allen. There’s no other way than the “Allen” way! I had never heard of J-Plasma until looking on Dr. Allen’s site. She explained the procedure very thoroughly, and it was a great process from start to finish. Thanks, Dr. Allen! Dr. Allen makes her patients feel as fabulous as she is! 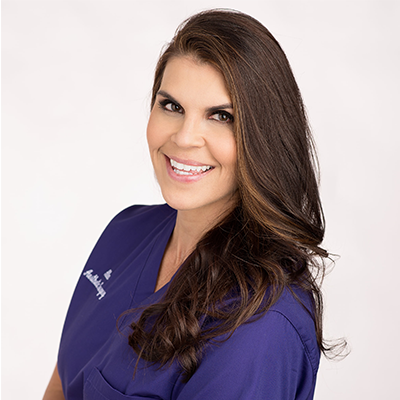 She really connects with you on a personal level and makes you feel comfortable with every procedure. Highly recommend! Several years ago I was unhappy with my appearance because I had an unwanted “double chin.” I met Dr. Allen and was impressed with the consultation I had with her.. She explained how the procedure would go and what to expect. After some consideration, I decided to go ahead and use her skills. She gave me a mild sedative and used local anesthesia. I was so at ease, I actually fell asleep during the procedure. I had no discomfort once the procedure was completed, little to no downtime, and I am very happy with the result. That is one reason I was glad to hear that Dr. Allen will soon be in private practice in her new facility. I look forward to being able to use her skills as a cosmetic surgeon once again. Everyone likes to feel special. Dr. Allen takes the time to get to know you. She knows you have options, and your time is just as valuable as hers. Dr. Allen and her staff will strive to meet your expectations in a safe, warm, and friendly environment.